Understanding Our Legislative Work - The Legislative Work Of The COCI's & US Defenders not only in Texas but across the Nation are real. It's not a feel good thing for the Bandidos as law enforcement suggests. The People who work on Motorcycle Profiling and Safety issues are dedicated individuals. Please watch the video so you may better understand what COCI / US Defenders work is all about. TCOCI & US Defender meetings are open meetings although you do sign in so we know who is there. They are not secret by any means and yes they are political. What happened at Twinn Peaks parking lot on May 17th 2015 is still not clear. Especially now that we know undercover officers was involved in altercations and meetings with the Cossack's prior to the May 17th Meeting. In a recent Examination trial one officer testified about a motorcycle club that does not exist. Imagine that! ​The meeting May 17th 2015 was about Legislative Bills before the State legislature, in particular Motorcycle Safety Funding monies that had stacked up to 17 million dollars. Monies that motorcyclist donate each time they renew their drivers license. The DPS is responsible for requesting and distributing those funds. SB 754 was signed by the Governor of Texas shortly after Twinn Peaks debacle. 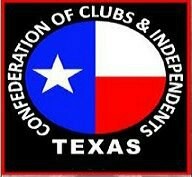 Motorcycle Legislative Day 2017 from Texas Biker Radio on Vimeo.